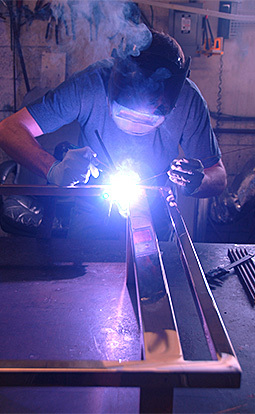 We perform all types of welding and brazing operations. 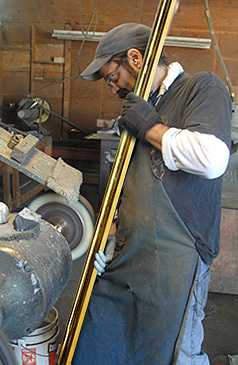 Classic Brass Works was established in 1980. We perform a wide variety of in-house operations. Shear & break forming, roll forming, bending, welding, grinding, polishing, laser cutting, powder coating, and much more. 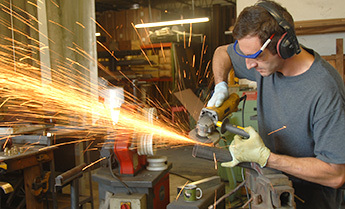 We fabricate brass, aluminum, bronze, stainless, chrome, steel, and powder-coating. The highest quality in workmanship in the USA! Our buffing and polishing process is done by hand for that beautiful shining luster. 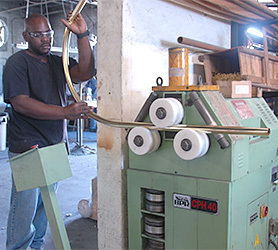 Roll bending and forming of all metals. 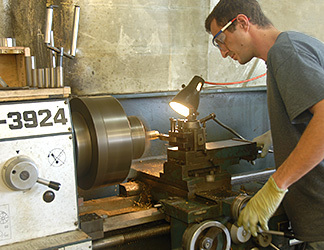 Metal lathe operations and special parts manufacturing. 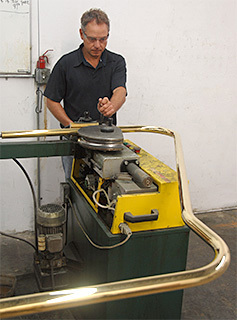 Roll bending and forming is one of our specialties.